Rewind back a couple of decades to life in Northern India and you would find that it was the good ‘old razai’ that came to the rescue on a cold, cold night. It’s been only in the last 15-20 years that we were introduced to different versions of a ‘razai’. Generically, a quilt is a multi-layered textile, traditionally composed of three layers of fibre: a woven cloth top, a layer of batting or wadding, and a woven back, combined using the technique of quilting. I am sure, every region in India has a unique quilt pattern, design or form of quilting. While I haven’t been fortunate enough to have seen all of them, some that have really fascinated me are the Balaposh from West Bengal, the Kawandi patchwork quilts of the Siddis of Karnataka and The Ralli appliqué quilts of western India and Pakistan. Let’s know a little more about them. 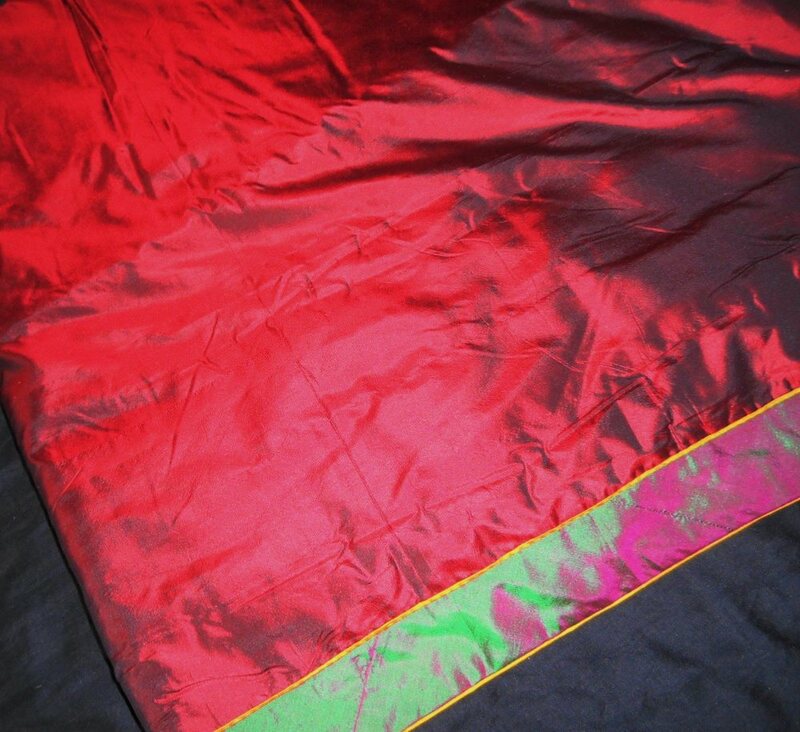 The Balaposh is a quilt without any quilting stitches, except for the stitches on the edges. A speciality of the artisans of Murshidabad in West Bengal, a Balaposh, filled with ‘attar scented’ cotton in between two layers of silk cloth and then stitched at the edges, exudes luxury of a bygone era. It was first made by Atir Khan in the Mughal age on Nawab Sujauddin’s request for a quilt that was “soft like wool, warm like a lap, and gentle like a flower.” What a wonderful feeling to have a subtly fragrant quilt to warm you up! Sadly, this craft form has just one practitioner left now – Sekhawat Hussain Khan, the great-grandson of Atir Khan. While it is not uncommon to find Mughal influence in some of the Indian motifs and crafts, it is rare to find African influence on crafts in India. Introducing the African quilts of India – the Kawandis made by the Siddis or Siddhis of Northern Karnataka. Did you know that the Siddis are descendants of early African immigrants to South Asia? Another perspective is that they were enslaved Africans brought to Goa by the Portuguese in the beginning of the 16th century. They later moved southward to create an independent community. The Siddis assimilated the local culture but retained some aspects of African Traditions. 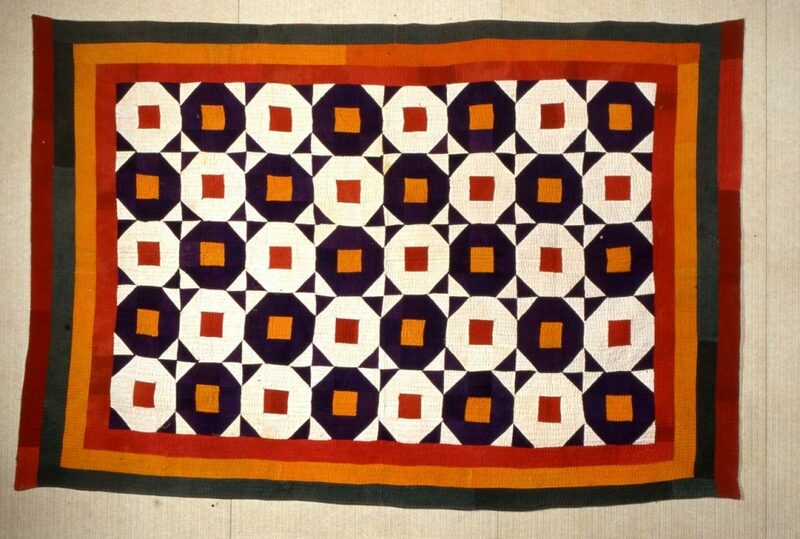 One such aspect is the beautiful patchwork quilts called Kawandis. Hand crafted by the Siddi women, these quilts use mostly old saris to make the patchwork designs and finishing touches given by their signature Triangular patches called ‘phulas’. 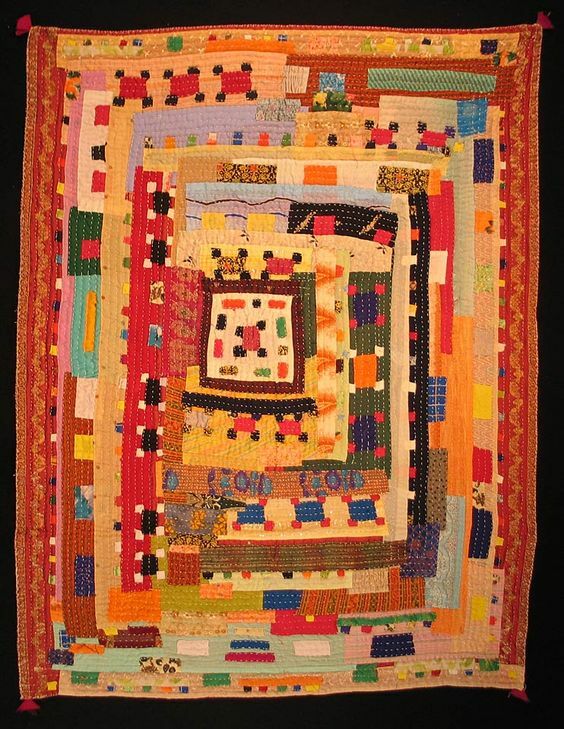 Fascinated by the quilts, Henry Drewal, a professor of African and African Diaspora arts at the University of Wisconsin-Madison, set up the Siddi Women’s Quilting Cooperative. This cooperative sells the quilts internationally and the proceeds go back to the Siddi makers. These quilts, once made for personal and household use are now sold outside the village and country! See a wonderful video by BuDa Folklore, where Nirmalakka is showing the art of hand quilting the Kawandis. 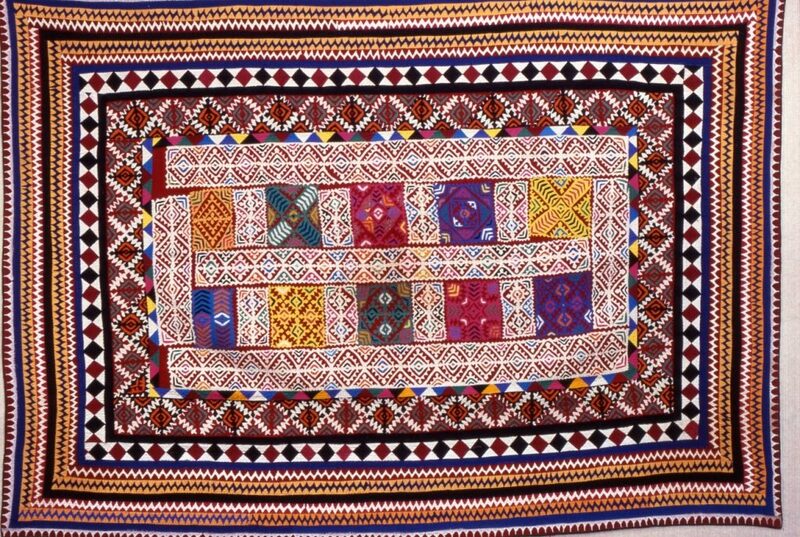 Like the Siddis, the women of Southern Pakistan and Western India have a fascinating quilting tradition. 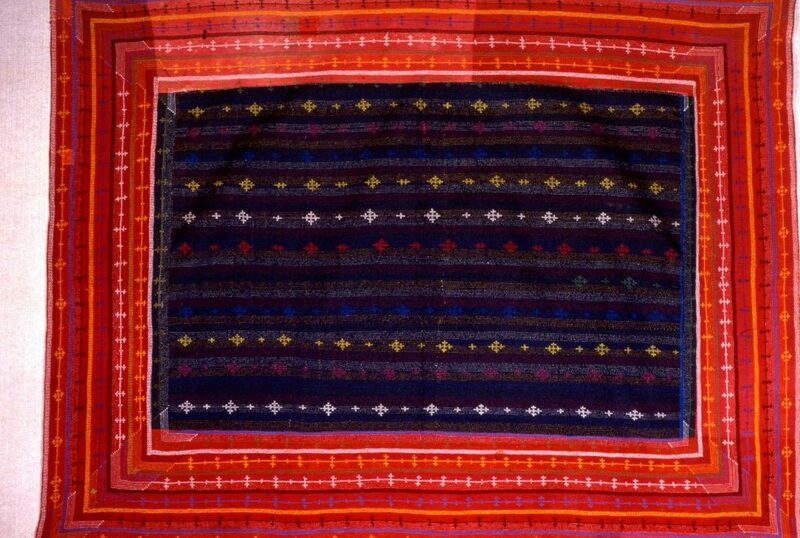 They make quilts called the Ralli with fascinating designs reminiscent of the motifs found on painted pottery of the ancient Indus Valley civilisation. The Top cover of the Rallis use scraps of cotton fabric, dyed to the desired colour. For the bottom part, women use old pieces of tie-dye, ‘ajrak’, or other fabrics and then layer it with a few layers of worn fabric or cotton fibres. The layers, held together by thick coloured thread, with stitches done in straight lines. Ralli quilts follow three different styles, namely: 1) The patchwork Ralli made from pieces of cloth torn into squares and triangles and then stitched together, 2) The appliqué Ralli made from intricate cut out patterns in different shapes and then stitched, and 3) The embroidered Ralli quilts where the embroidery stitches form patterns on solid coloured fabric to give the desired design. Do have a look at Ralli quilts and know more about the fascinating world of Rallis. Learning and writing about these lesser known quilting traditions from India has been an enriching experience. Little did we know about the humble quilts from India being deeply steeped in history. Support handmade crafts so that they don’t just survive, but thrive; Be Notjustashopper!